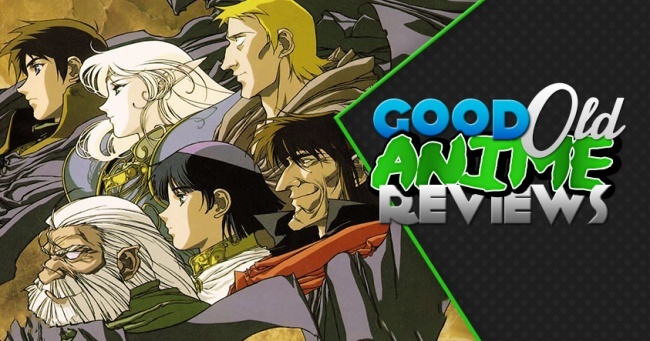 This article is the first in a continuing series in which we will go back and review some of the most iconic anime of all time. With the passage of time, often our nostalgia can blind us to the merits, or faults, of beloved, and sometimes dreaded, anime. Through this series I plan to take an objective look at these anime so that those who might be interested have a reference point before they devote their time to a show or film. In order to be considered for these reviews, the anime in question must be at least 15 years old. The final rating of the show will be based on five components: story, visuals & animation, voice acting, music, and lasting impressions. I hope this series will be a guiding light to those who have an interest in the history of animation, or are even just big fans of a certain era of anime. If you have any suggestions for what series I should cover next, or just want to discuss your favorite anime, sound off in the comments below! Original Air Dates: 1990-1991. Produced by Madhouse Studios. Released in English by Central Park Media. The version watched was a dubbed production. Record of Lodoss War originally began as a series of Dungeons and Dragons replays in Comtiq magazine. Not long after the initial debut of those replays, avid fan and dungeon master Ryo Mizuno began writing novels, which eventually led to the creation of a game that was separate from Dungeons and Dragons, with all new rules and material gleaned from Mizuno's novels. These new campaigns spiraled into the transmedia franchise that Record of Lodoss War is today, featuring several anime, video game, and manga adaptations. The anime we will be focusing on today is the original thirteen episode OVA simply titled Record of Lodoss War. At the end of the era of the gods, a massive war was fought between the light and the dark. Their battle ravaged the world, but its destruction led to the creation of the Island of Lodoss, the setting of the OVA. The story of the Record of Lodoss War OVA loosely follows the plot of the first, third, and fourth books of Mizuno's novels, following the adventures of the aspiring knight Parn and Deelit, the only elf born in 1,000 years. Often traveling with them is the Priest Etoh, the dwarf Ghim, the wizard Slayn, and the rogue Woodchuck. Together, they make your typical cast of D&D characters, with matching abilities to boot. Besides a minor subplot with Ghim, there is relatively no character development outside of Parn and Deedlit, making most characters a placeholder for whatever archetype they need to fill. The overall plot of the OVA is fairly typical fantasy story: an evil witch seeks to revive ancient powers lurking within Lodoss and the heroes must rush to save the island from her magic. An evil wizard also steps forward and looks to take the witch's place by any means necessary. Record's standard fantasy story doesn't try to push its genre in any new directions by playing it very safe, but this turns out to be one of the show's strengths. Since the plot remains very simple and follows the archetypal D&D schema for fantasy adventure, the OVA is fun and doesn't ask much out of its audience. With that being said, viewers who want a little more of a cerebral experience might want to look elsewhere, as the most complex character development within the show is mainly the "will they, won't they" between Parn and Deedlit.